Pick up essential design skills with this Adobe software training. 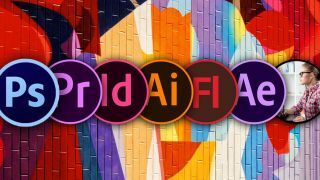 Adobe has given the world a lot of design software with its Creative Cloud collection. While this software is sure to elevate your photos, videos, and audio projects to the next level, there can be a bit of a learning curve to them. Now, you can gain a solid foundation in Creative Cloud with The Complete Adobe CC Training Bundle. With this bundle, you'll learn how to edit photos like a pro on Photoshop, create entire videos on Premiere, and design beautiful graphics with Illustrator. You'll also master useful software such as InDesign, Flash, and After Effects – essential skills to have in your toolkit if you're a graphic designer, blogger, or social media manager. Get The Complete Adobe CC Training Bundle for just $29.